This photo from 1912 shows the Batesville Moose Band. Left to Right: Shelley Jarret, Noley Kinman, “Brick” Jordan, Arthur Jordan, Bill “Ducks” Landers, unknown, unknown, Chas Mosby, Marion Jordan, unknown, unknown, unknown, unknown, Bob Mosby, Carl McMillan and unknown. 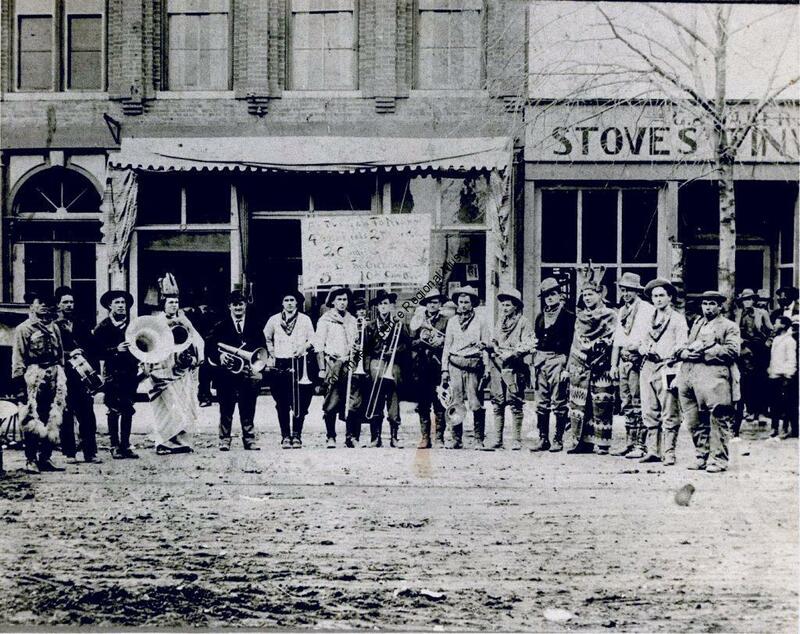 The band is dressed as cowboys or Indians and are holding musical instruments. This photo is part of the Barnett Collection at Old Independence Regional Museum.